Ever since Bachelor Nation producers have started using old contestants for new seasons, it’s been pretty easy to tell who would be the star of the latest show. End of Andi's season? Obviously Chris Soules. End of Kaitlyn’s season? Hello, Ben Higgins. The only wildcard fans have really ever had was when there was a bait-and-switch for JoJo in lieu of Caila, and that was pretty surprising. 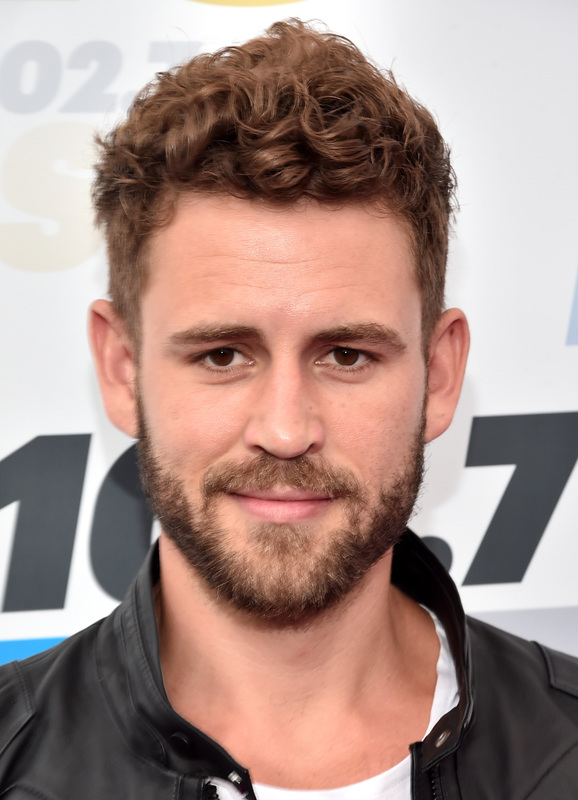 But I think now viewers are in for another surprise twist — there are no great guys for The Bachelor’s next season, and that’s why I think Nick Viall should be the Bachelor. The hosts of Bustle’s Bachelor Nation podcast, Will You Accept This Podcast? agree with me. And, you can even sign the Change.org petition to get Nick to be Bachelor. America met Nick Viall on Andi Dorfman’s season of The Bachelorette, where she picked Josh Murray over Nick. Then, Nick showed up on Kaitlyn Bristowe’s season of The Bachelorette, and she picked Shawn Booth over him. Guy has had his heart smashed twice on national television, and he still came back to Bachelor In Paradise 3 to try it out again. I usually hate this sort of lobbying for a position on a television show, but at this point, Nick deserves to be the next Bachelor for several reasons. I mean, the Bachelor always has to be hot. They’re not going to pick Quasimodo to date 25 different women on television. Nick, as seen in his many shirtless pictures on Instagram, definitely fits the fit-and-handsome bill. I’m a shallow person when it comes to my reality television stars — what can I tell you? Nick comes from a big family, and these poor people have had to meet two different women who would go onto break their son and brother’s heart. Remember Nick’s little 12-year-old (I don’t know how old she is now) sister? She was adorable! And then she was really sad when he lost! And his mother! Oh, lordy. Giving Nick the power will save Nick’s family some heartbreak here. A broken heart, twice — maybe thrice, depending on what happens on Bachelor In Paradise 3 — over. A chance for true love. That sounds like a ratings bonanza to me. Having been on, like, 30 different seasons of The Bachelorette, Nick knows what the deal is. He knows the producers, he knows the camera people, and he knows the location scouts. There will be less of a learning curve for Nick to be a Bachelor than anyone else. I don’t mean this in a negative way — I really love Nick. He’s grown on me over the years. He’s great. But the other guys who are allegedly up on the block for the Bachelor spot? Not so great. I mean, Chase and Luke are fine, but they’re so … vanilla. Ben Higgins was vanilla, too, and I hated watching him. I like the fact that Nick is a little controversial (remember how he called Andi out for their Fantsay Suite actions and then slept with Kaitlyn before the Fantasy Suite?). It makes him interesting, and love him or hate him, people will watch. At this point, Nick Viall is the only choice to be the Bachelor. It will be a ratings juggernaut, and I’ll get to look at Nick for three months. This is a win-win, people. And, when you consider the fact that everyone else is so boring (sorry not sorry) it may as well be Nick, sweet prince he is, in the top spot come January. For everything Bachelor Nation, check out previous episodes of Bustle's Bachelor Nation podcast.